The ice cream color match game printable is an effective tool to teach colors to toddlers and preschoolers. Kids won’t even know they are learning colors with this fun game! This game is designed to help toddlers and preschoolers learn colors in a fun and interactive way. The color match game is short, easy to play, and fun for kids of all ages. Even older kids will get a kick out of the printable game format. You will be directed to the download page. 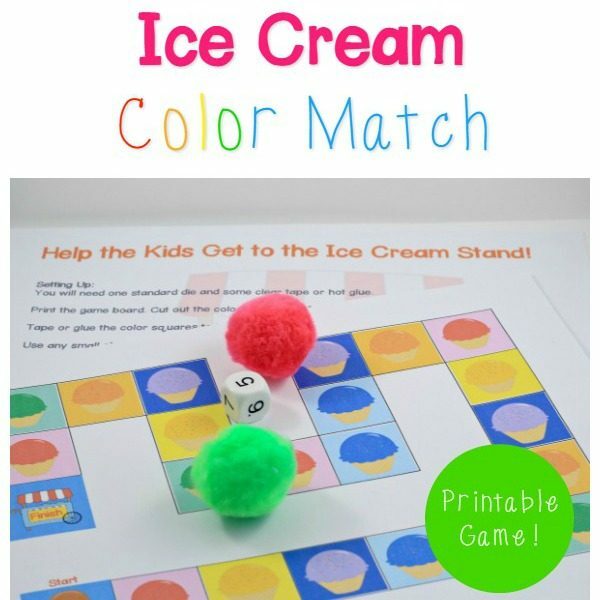 Click “Download: Ice Cream Color Match Game” to save your printable. You will also be sent an e-mail link to download your printable. 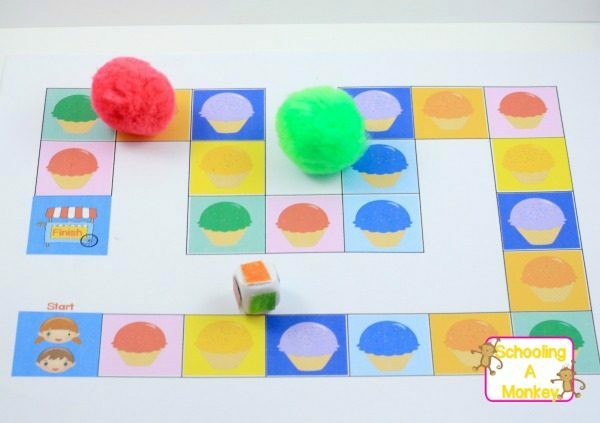 Teach colors to preschoolers and toddlers when playing this game. See how we used the ice cream game printable for ideas on how to use this printable in your classroom, homeschool, or just for fun! Graphics by Cherry Workshop and Teacher’s Clipart.